Fall is a joyful flurry of activity with harvesting and preserving of traditional heirloom seed crops of corn, bean and squash going on into October. “Indian Day” at the 8 Hopi elementary schools and Hopi High School occur this month with youth traditional dances, cultural talks and other special activities. One year a Second Mesa School did a clan run with the kids wearing symbols of their clan they had drawn–I remember how proudly the grandparents displayed that drawing on their wall. “Indian Day” is part of Native federally funded school programs to help preserve Native American culture and language. This is always a big event supported with pride by parents bringing traditional foods to share. Social dances by the youth are going on in village plazas celebrating the abundance of harvest–the whole family is engaged in these activities. The initiated ladies go into the kiva and for their series of ceremonials in the plazas from mid-September to the end of October balancing the cycle of the year with their feminine presence holding space for the abundant harvest and fruitful life setting the stage for the next cycle of germination. The Women’s Basket Dances, the last of the fall cycle of ladies ceremonie, are some of most well attended ceremonials of the year. They are prayers for healthy fertility. The ladies spend several days in a kiva to fast, pray, and chant and prepare. When the women emerge from the kiva, they chant while presenting baskets to the four directions of the compass, lifting them, then lowering them. Their movements are designed to bring cold, wet weather so that the crops will grow the following spring. Afterward, the women traditionally toss the baskets to the onlookers. These baskets are greatly prized by the men, who will literally tackle each other to obtain these potent symbols of fertility. For about $100, we can provide a packet of activity books and crayons to use at home for each of the 20 kids in each class. For about $120, we could add a sports item. Need helpers to install 10 hop skotch pavers at 3 schools this fall. Please call or email if you can take a day and help us with this. Donations for classroom supplies are welcome as the Hopi pre-school program is underfunded to meet the needs. Hopi Head Start is ready to initate this program in all 4 schools this spring. The goal is to teach the children how to plant and care for a fresh food garden planted in March and experience by end of May harvest and preparing and eating from the garden. Hopi Tutskwa Permaculture will provide an instructor to teach this is 3 units at all 10 classrooms. Parents will be invited to participate. The start up budget to get kid size tools, other equipment and supplies plus instruction for 10 classes at 4 campuses is $16,000. We have seed money for this at one of the four schools so far thanks to a generous donation and hope to raise funds to extend it to the other schools. We welcome sponsors for this. This is the pilot project that will begin with Polacca this spring. Hopi Tutskwa Permaculture has received donations of fruit trees and drip system and will design, train staff and parent volunteers and manage this installation. Crossing Worlds Hopi Projects has raised funds for the other needed landscape shrubs and trees and soil amendments and mulch. We will announce the planting date which will be during the week of April 22; volunteers are welcome to come help! Thanks to a generous donation from a caring person in New Mexico who empathizes with having roof challenges and who has been moved by the Hopi way of life, this Hopi family will be able to get the materials to rebuild their roof. This will allow the family to move back in with 3 generations and support their roles in Hopi cultural activities in the village. Family members will do the rebuild (Second Mesa) and welcome people to come help who have skills in carpentry and electrical. 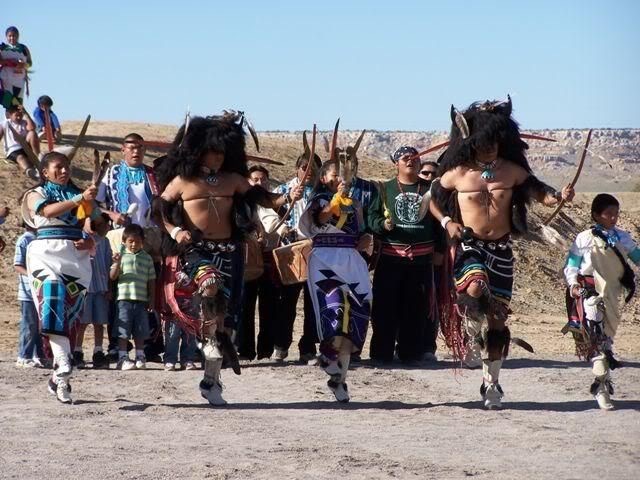 You can camp on the property or lodging and camping is available nearby at the Hopi Cultural Center. Please email me if you want to join in a work party this fall. Support for Kids, Elders and others in need is welcome year round. Goal: increase elders and youth support with more toiletries and youth sports and learning items and sweatsuits for all ages. Jan. 9, 2015 is our target date for delivery of produce, staple foods plus elder gifts (sweatshirts, blankets, toiletries), kid gifts (school and art supplies, learning games-activity books, sports items, clothing for all ages of kids). We will be boxing and loading the produce the day before so we have more time to enjoy our deliveries and sharing with Hopi people. Each year we try to extend our outreach to more families in Oraibi, Mishongnovi, Shongopavi, Polacca, Sechomovi and Walpi. We may do a second delivery in early December, 2014 depending on the level of donations and local help with sorting, loading and hauling. One year we participated in a senior center pot luck and sent all the elders home with food and gifts. The plan evolves as we collaborate with Hopi friends and see what would be welcome and helpful to people in a community. Please let me know if I may email you a poster link to share with your circles around the world. We welcome cash donations to kick this off. Teber Amos is our first contributor–her first shipments of gifts for families are on the way. Askwali! (thank you). If you bring us your receipt, we give you an in-kind donation receipt. We are not accepting used clothing.